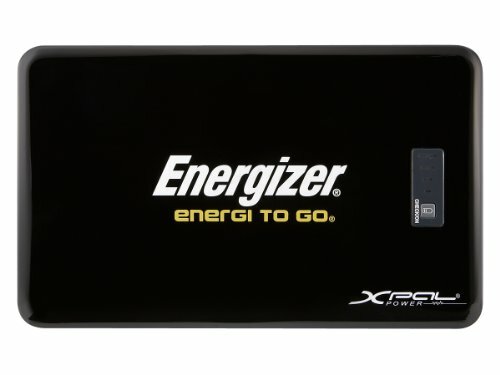 The Energizer XP18000 is the best in class laptop battery and charger and is guaranteed to work with ANY laptop in the world! Use it as a power adapter or charge three devices at the same time like your cell phone, iPod and laptop. Less than a pound and compact - this rechargeable power pack fits in your bag easily! Provides up to 6 hours of additonal laptop power. Three power outputs allow you the flexibility to charge and power multiple devices simultaneously. The Energizer XP18000 comes with 3 power cables, 6 cell phone tips, 3 media tips, 9 laptop tips, an AC adapter and a carrying bag. Simply plug your Energizer Power into your electronic device for emergency ENERGI. On The GO! Energizer also offers FREE TIPS FOR LIFE. If you have any questions about this product by Xpal, contact us by completing and submitting the form below. If you are looking for a specif part number, please include it with your message.